This is an archive of past UESPWiki talk:Oblivion Map Design discussions. Do not edit the contents of this page, except for maintenance such as updating links. 5 Links back to the wiki? 10 Better than I thought. 12 Not working on Mac? 14 What was the map made with? Other plant locations (use inventory icons)? I'd prefer to move ayleid ruins up to 13 (comparable importance to forts), and move mines down to 14. Any objections or should I just starting tweaking? I'm digging up the info for ayleid wells, doomstones, runestones, wayshrines in the CS. To add them, though, will require some new "types". And since these don't appear on the in-game map, there are no predesigned markers. For now I might just start entering them under general, to get the info in the database, then details can be worked out later. Links back to the wiki? I was just experimenting with trying to set the wiki name to a correct link and it wasn't working. I took a Sidri-Ashak Rune Stone (ID 1413 to be precise) and edited "Wiki Page" to read "Magical_Stones" (the wiki page is Magical Stones). But when I hit save location, what seems to happen is that the "Wiki Page" entry gets saved to the "Name" field, and the Wiki Page doesn't get updated... so the result is that the item appears on the map as "Magical_Stones" and still doesn't have a wiki link. Yes, having a centeron parameter would be really useful. I've played with using lat/lng parameters rather than the oblocx/oblocy paramters, but neither works too well when trying to set up automatic links within a template. Thanks, Daveh. With all the possible locations that can be displayed it might be better to add several map types to display specific information (like the Map, Satellite, and Hybrid types on the Goggle Maps). Search -- Shows locations that the user specifically searched for. 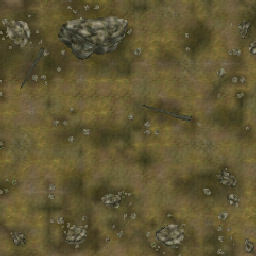 Markers -- Shows map markers for locations as exported from the game as well as other important locations (runestones, shrines, wells, etc...). Doors -- Shows all 'doors' as exported from the game data. Flora -- Nirnroots and other plant locations (exported from the game data) again. Other -- Are there any other locations that should or could be displayed? NPCs, quest specific, and items come to mind as possibilities. Thanks for the awesome map, it's been a great help! Love this map! I use it all the time. A quick note -- in the village of Bleaker's Way, everyone's house is marked with an icon except Nivan Dalvilu's house (who is one of the targets of the Mephala Quest). Great job on the map! But could you please put a marker for Dive Rock (the place where you find the Uderfrykte Matron)? bigorangemachine - Sorry, I deleted after I posted. Guess you replied after I deleted. Should these map markers even be included? Should the map be updated to show the features that corresponds to these map markers (for example, to show the buildings that get added by the Priory of the Nine)? Should a different color be used for these markers to make it clear that they are not standard features? Or is there some other method that should be used to distinguish these markers from standard markers? Google Maps works fine in Safari, so I'm not sure why this doesn't. It does work in Firefox for the Mac though. and similar for lines 46 and 53. The problem appears to be three CSS statements that use the IE-only "expression" statement to dynamically calculate height and width. Since it's only supported by IE, it's ignored by Firefox (but produces the above-mentioned warnings). It's possible that Safari just gives up instead of ignoring the statements. What was the map made with? I love it. It's really helpfull and fun to play around with! Since my last post, I have been given the ability to fix map tiles... or at least I can upload new map tiles if someone is willing to provide them. This page was last modified on 7 September 2018, at 16:51.